With the 14th International Venice Architecture Biennale currently in full swing, we thought it would be the perfect opportunity to highlight our collection of architectural books and prints. 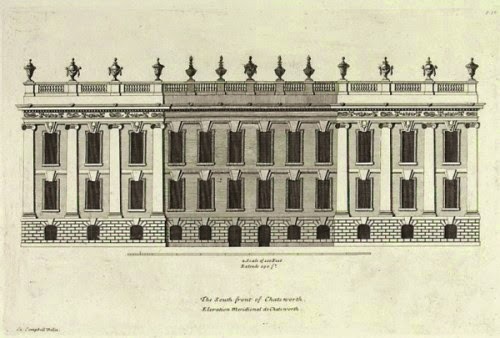 The South front of Chatsworth. In the print department we have a wonderful stock of prints from Colin Campbell’s major work ‘Vitruvius Britannicus’. 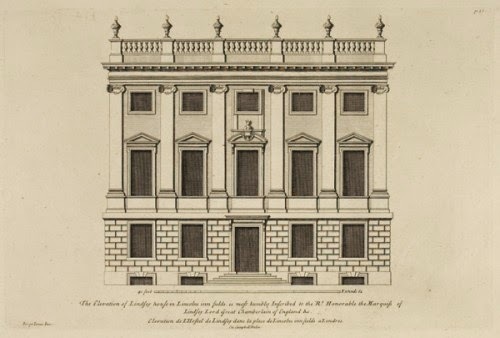 Published in three volumes between 1715 and 1725 at the peak of the Palladian style in the Georgian period, the work is essentially a folio of design containing 100 engravings of contemporary classical buildings by prominent architects of the era including Inigo Jones and Sir Christopher Wren. Palladianism is the name for the English architectural design movement based on the writings and buildings of the Italian Renaissance architect Palladio. First brought to England by the architect Inigo Jones after his travels within Italy during the early seventeenth century, the Palladian style reached its height at the beginning of the Georgian period (1714 - 1830). The designs in ‘Vitruvius Britannicus’ had enormous influence in England during the period, and the clean, symmetrical lines and classical style of the prints still have great appeal today. 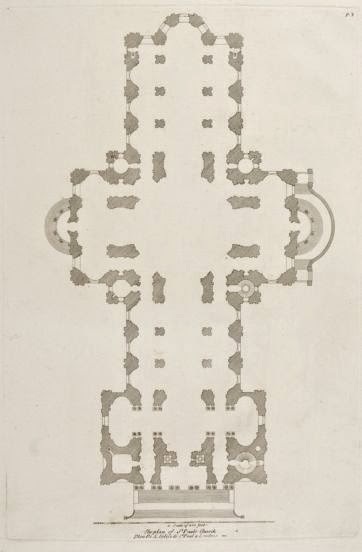 The Plan of St Paul's Cathedral, London. Lindsey-House in Lincoln Inn Fields, London. Henry Sotheran is one of London's leading specialists in architectural books, with an extensive stock of rare and out of print books on the history and development of architecture from classic times to present. With so much to choose from, we have a kept a distinctly Venetian theme: Andrea Palladio's Quattro Libri. 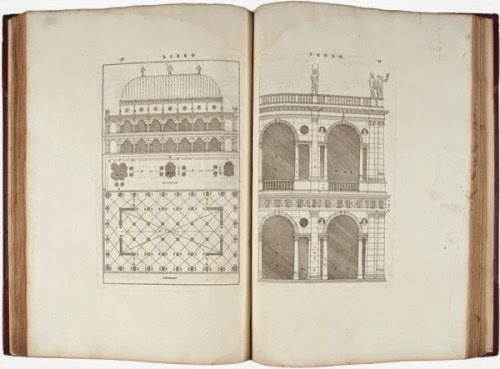 I Quattro Libri Dell'Architettura (The Four Books of Architecture) was first published in 1570, illustrated with fantastic woodcuts after the author's own drawings. Nearly two-hundred years and several reprints and translations later, the British Consul in Venice, Joseph Smith, got together with the printer G. B. Pasquali to issue a fine facsimile. 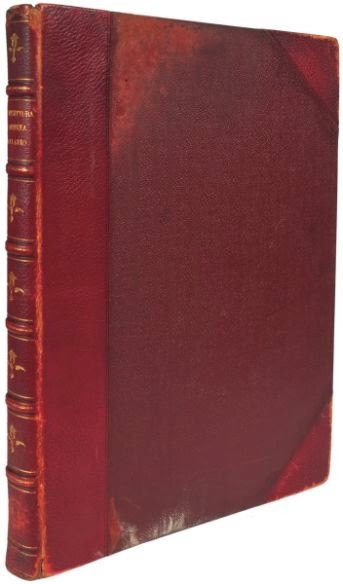 The famous "counterfeit edition", which we are offering for sale, is universally recognised as an accurate facsimile of the 1570 edition, and for it's fine copper-plate reproductions of Palladio's woodcuts. Joseph Smith was famed as an art collector, patron, and connoisseur, whose impressive library was an attraction for many during the British Grand Tour. Together with Pasquali, he published many lavishly printed limited editions of the great books in his library and his collection of drawings now make up a substantial portion of the Royal Collection at Windsor.